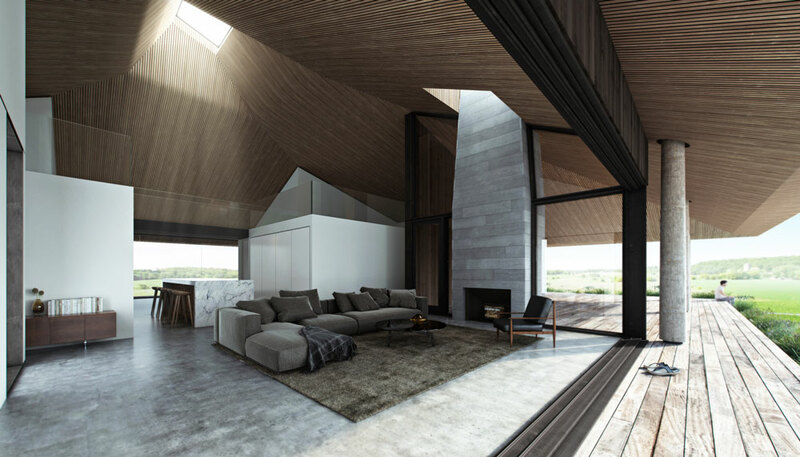 Acknowledging the growing desire for a country home as an alternative to the traditional waterfront cottage, the project is sited to both maximize panoramic views across the rolling landscape of the Niagara Escarpment while minimizing its presence from the road. The house embraces its expansive rural surroundings by extending a large deck and overhanging roof in all directions. Screened outdoor rooms further mediate between interior and exterior living spaces. The multiple layers of occupation within the home embrace opportunities not typically found in urban settings.